Ashley was riding home on a quiet, empty street at 10 PM. Lights flashed. Whoop whoop. Whoop whoop. Time to pull over and get ready to take it, scumbag! Before I go any further there’s something you should know about Ashley: She’s an angel. She works hard hours helping kids that most people would cross the street to avoid even walking by. Obviously this young lady is a menace to society. Luckily Toronto’s finest were on the scene. Picture this: My girlfriend (Ashley) was riding home. It was 10 PM, not a school zone, religious institution, townhall or family in sight. There was a car parked ahead, so Ashley gave it a little gas to pass the car that was driving in the lane next to her. She made her pass at 50 m/hr and let off the throttle. Lights flashed. Whoop whoop. Whoop whoop. Time to pull over and get ready to take it, scumbag! Before I go on there’s something you should know about Ashley: She’s an angel. Ashley brings love, caring and hope with her wherever she goes. She works hard hours helping kids that most people would cross the street to avoid even walking by. She’s finished college and is taking university classes part time while pursuing her career. This evening she came to see me to do some homework and help me cope with dealing with my father facing another round of cancer. Obviously this young lady is a menace to society and must be stopped. Luckily, Toronto’s finest were on the scene, taking her ID, ownership, and insurance slip. The police officer said she was doing 50 km/hr in a 40 km/hr zone. He reduced it to 45 km/hr in a 40 km/hr zone. The ticket itself is $27.50, less than a parking ticket. At 21 years old, a second ticket is going to cost Ashley hundreds more in her insurance premium, annually, for the next three years. YouMotorcycle.com would like to give a big thank you to Toronto Police for stopping this threat to society. I feel safer knowing we have people with your sound judgement protecting us. I’m grateful that the police are devoting their time and resources punishing those who leech off of our community. I’m not sure why my girlfriend would do something as absurd as making a pass at 10 km over the limit on an empty street at night time, but your work has made it clear that its time for me to rethink my relationship with this criminal. Thank you. Please share this with others and let Ashley know how you feel. 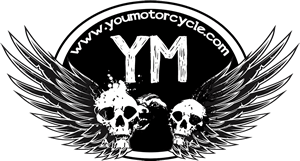 Don’t forget to visit our homepage for lots of (better) motorcycle news & stories!